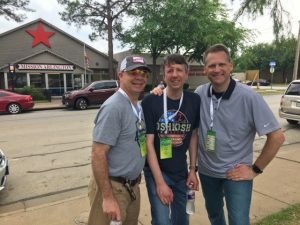 Bobby Welch our President, Keith Keller our COO, and Joel Sargent our Director of Engineering participated in the Mission Arlington Project a few days ago. They went with their peer group organization called HTG. 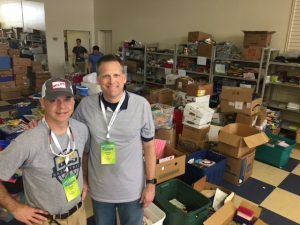 One of the highlights of their meeting was a trip to Mission Arlington where they spent the afternoon helping the team there in their mission to make a difference in the Dallas metroplex. A number of members sorted donations in preparation for packing 10,000 backpacks for kids that they will give away for the start of school this fall. Heartland Technology Solutions, HTG is an international consulting, coaching and peer group organization that cultivates success by igniting personal, leadership, business and legacy transformation. Members navigate their journey with world-class HTG consultants and facilitators who value sharing wisdom, providing accountability and building meaningful relationships, Igniting Transformation™ every step of the way. HTG walks with leaders in life and business to help them reach their desired growth and legacy. 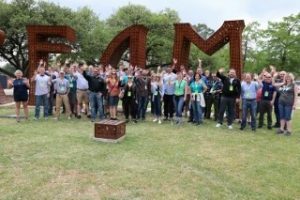 Their vision is to connect leaders by fostering authentic relationships and opportunities for sharing. HTG’s goal is to equip and inspire its members to make a difference.